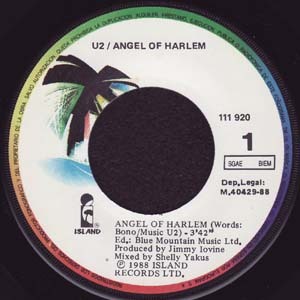 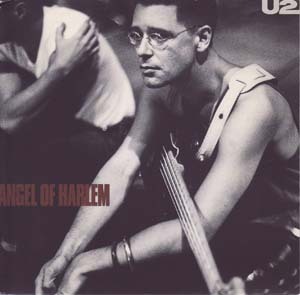 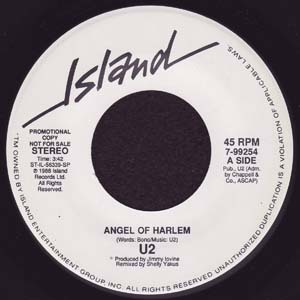 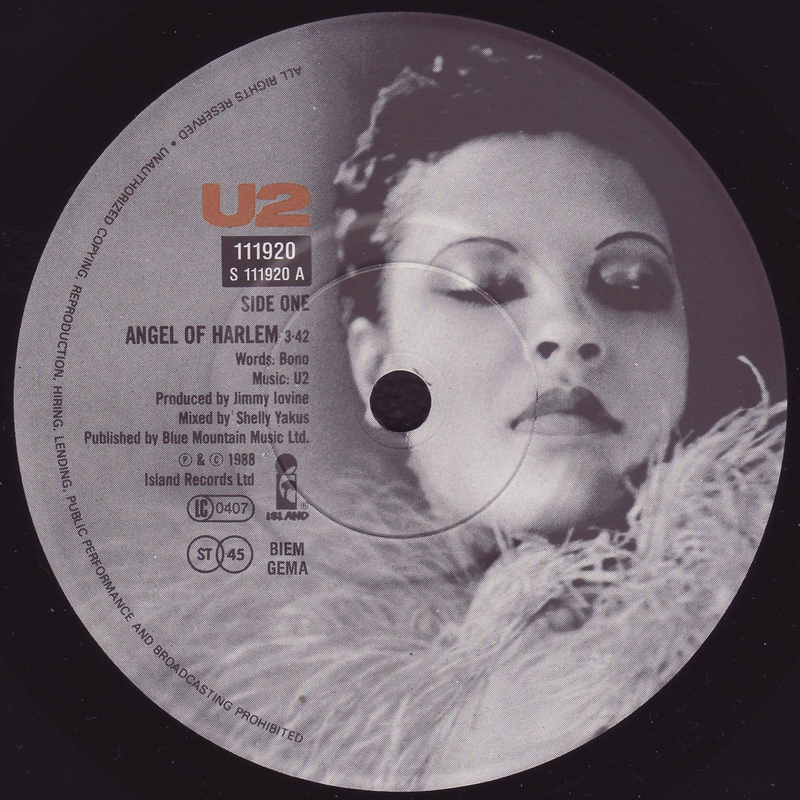 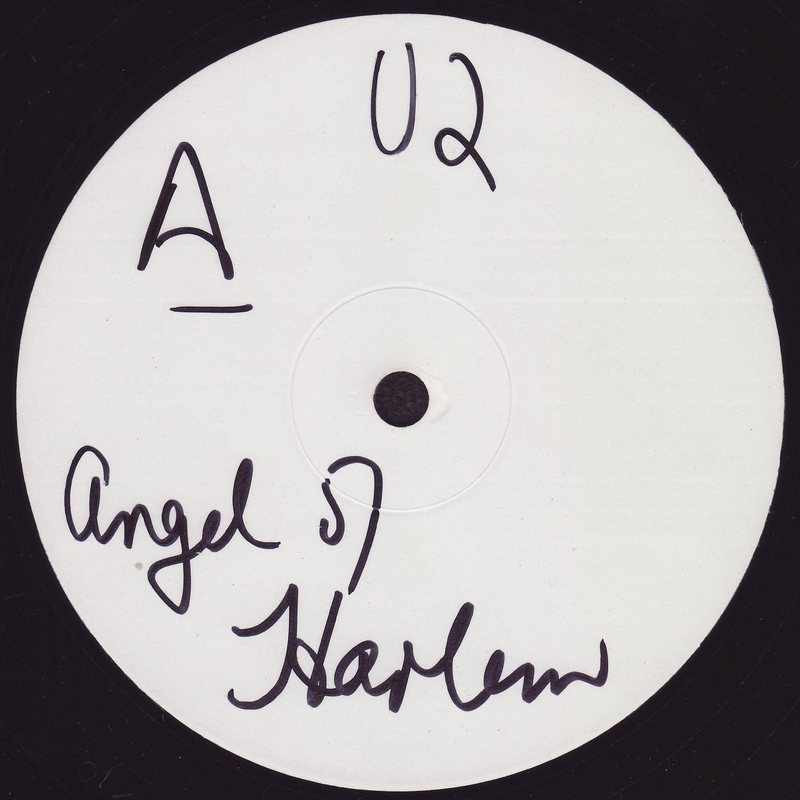 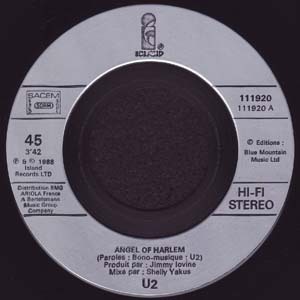 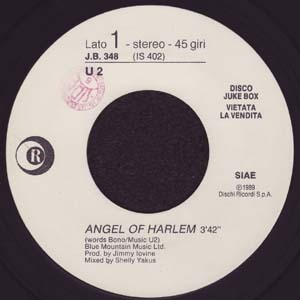 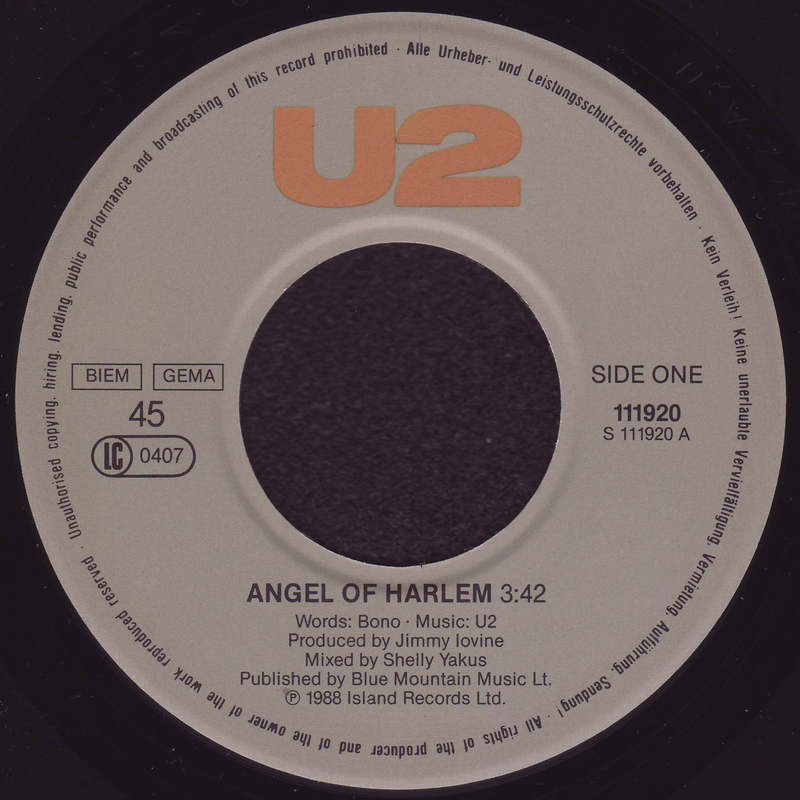 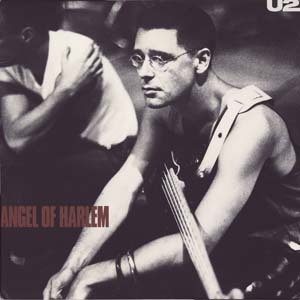 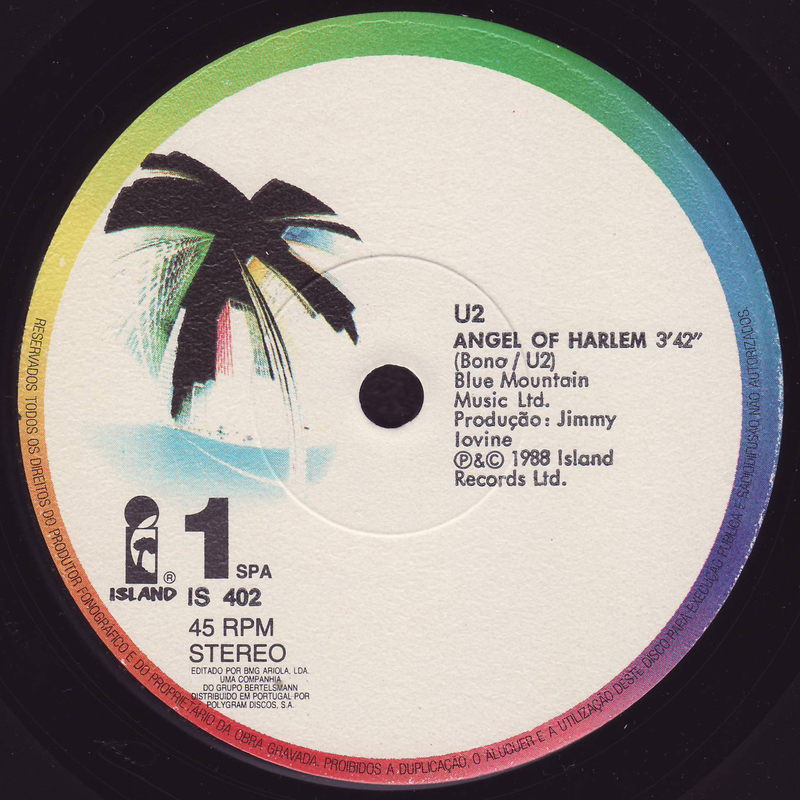 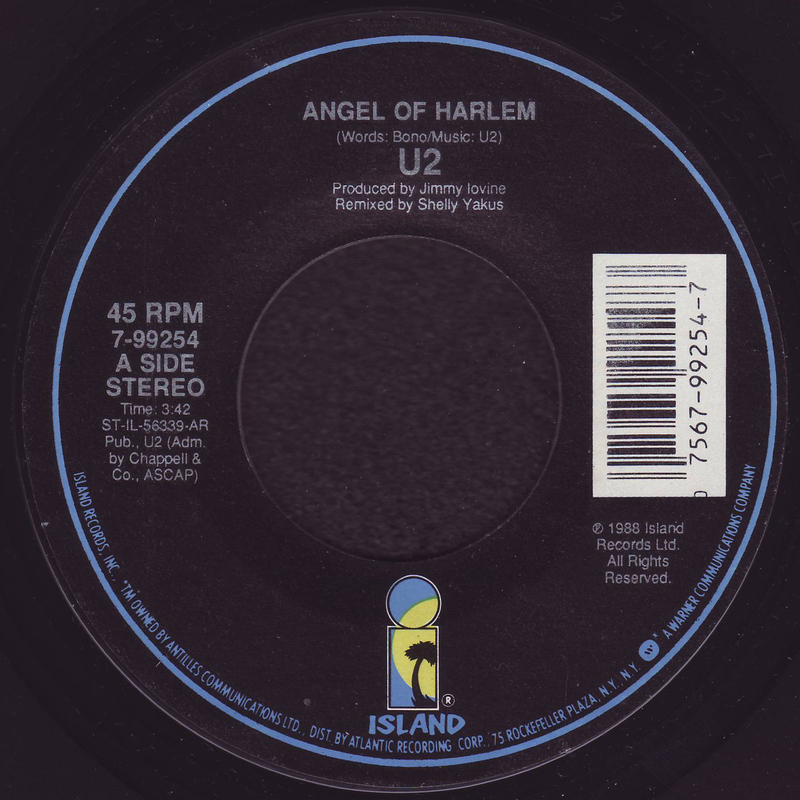 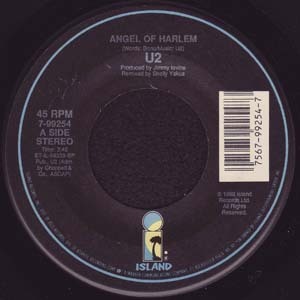 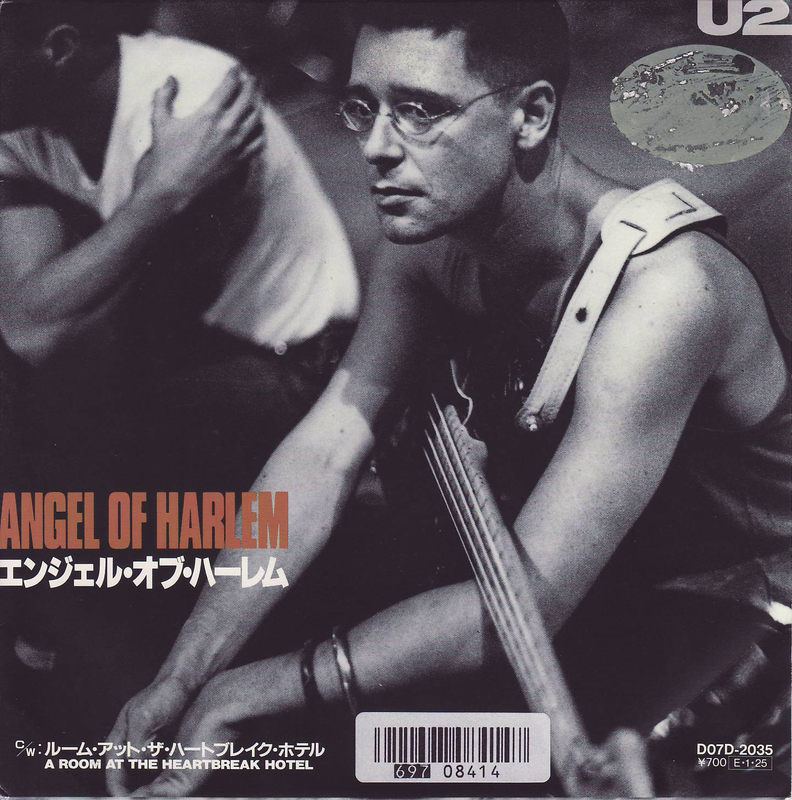 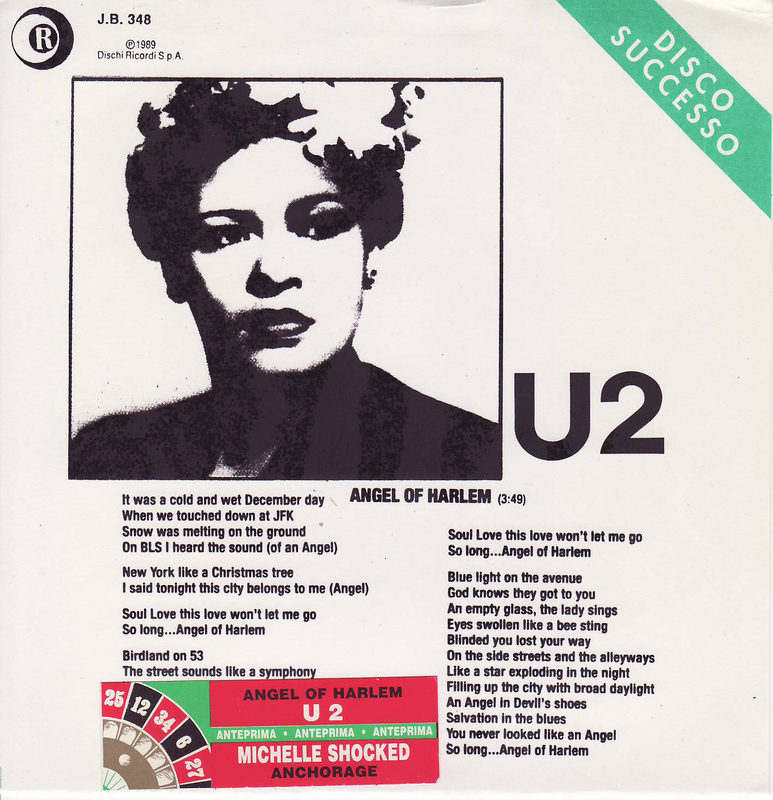 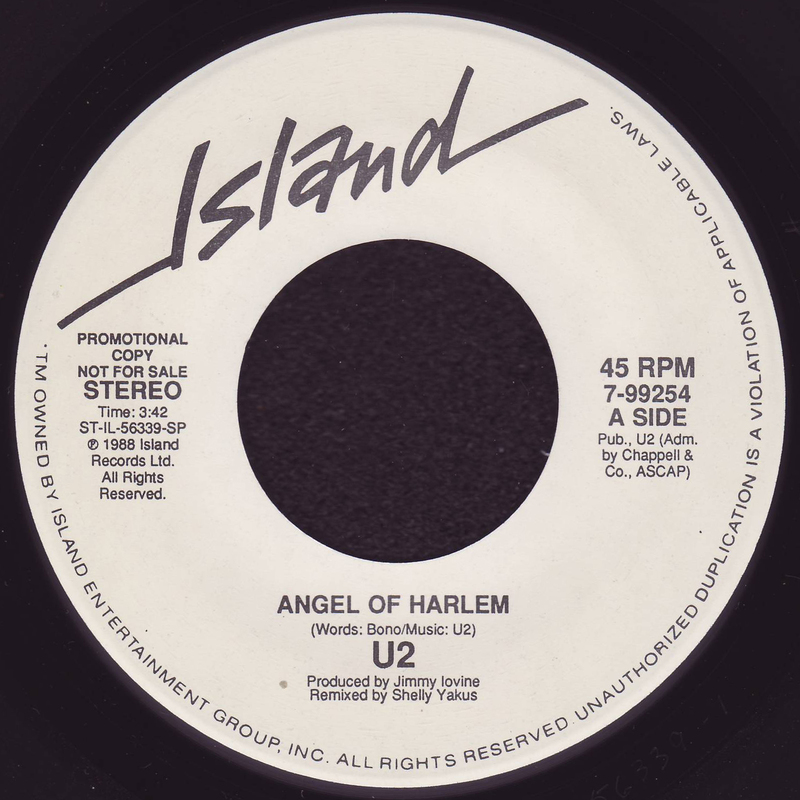 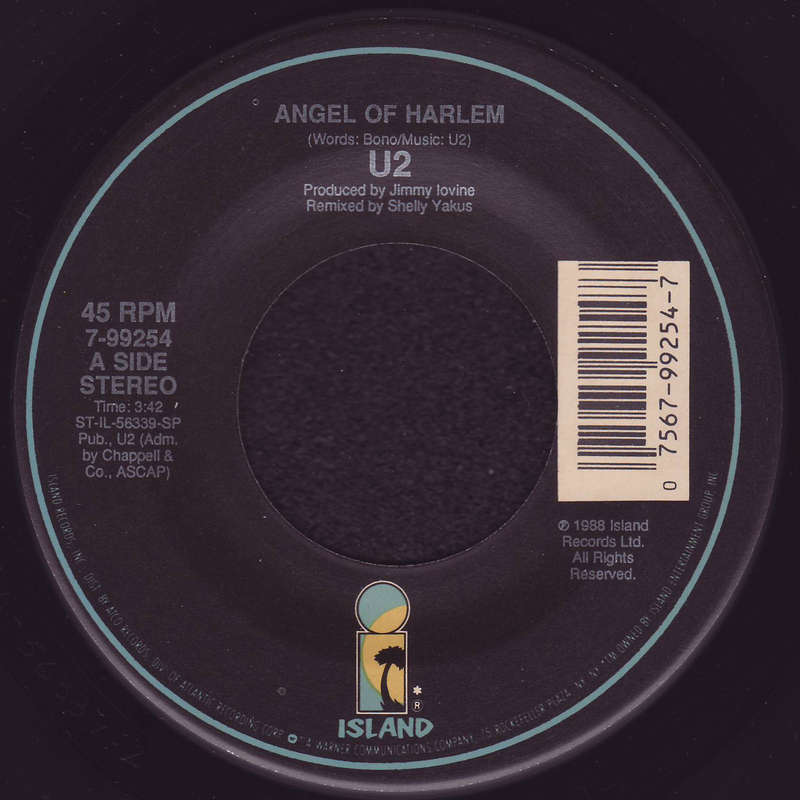 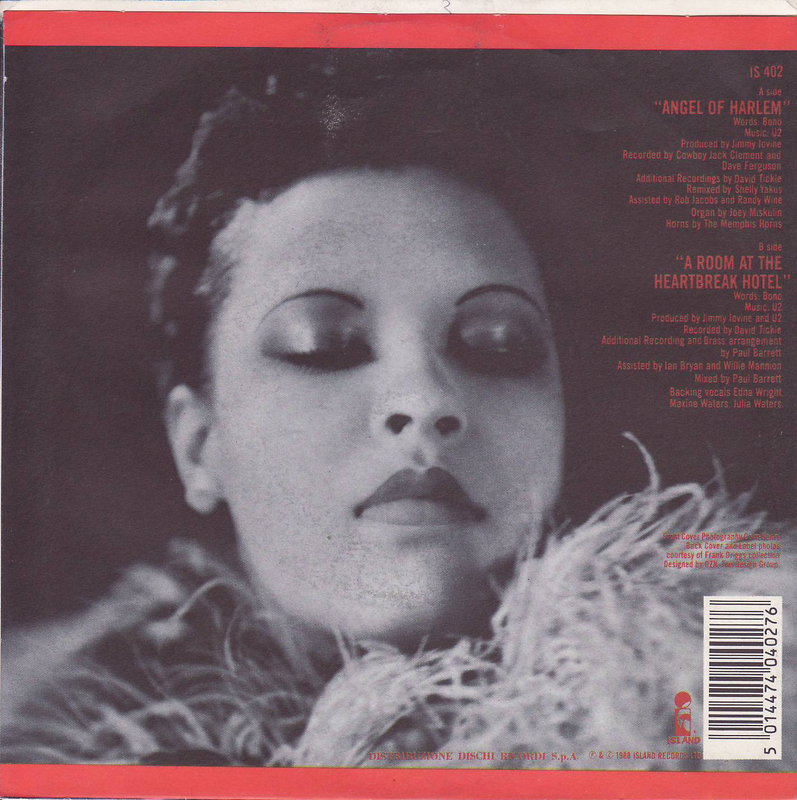 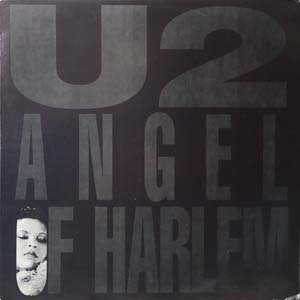 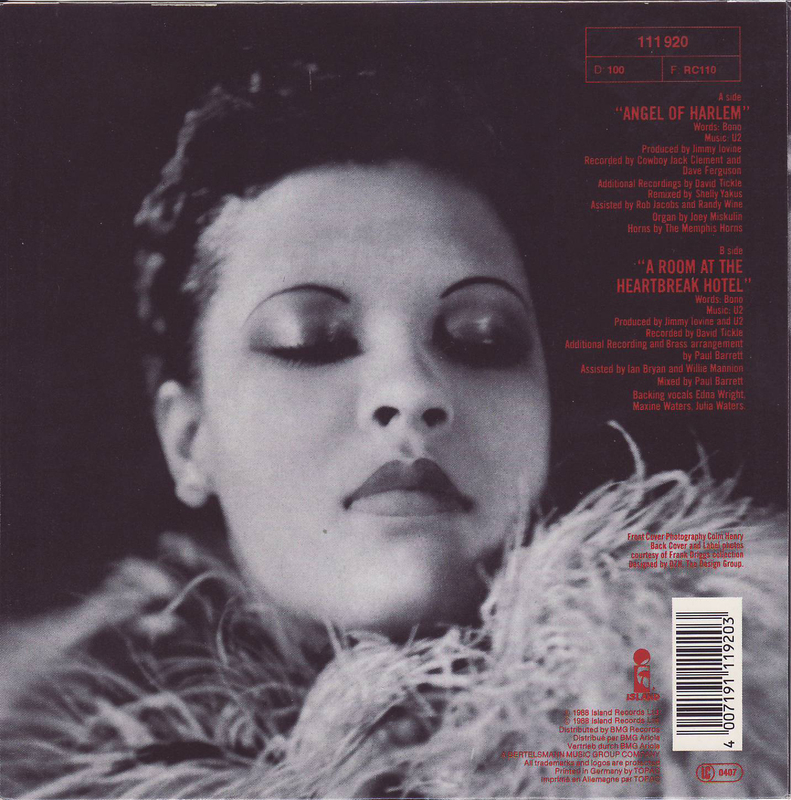 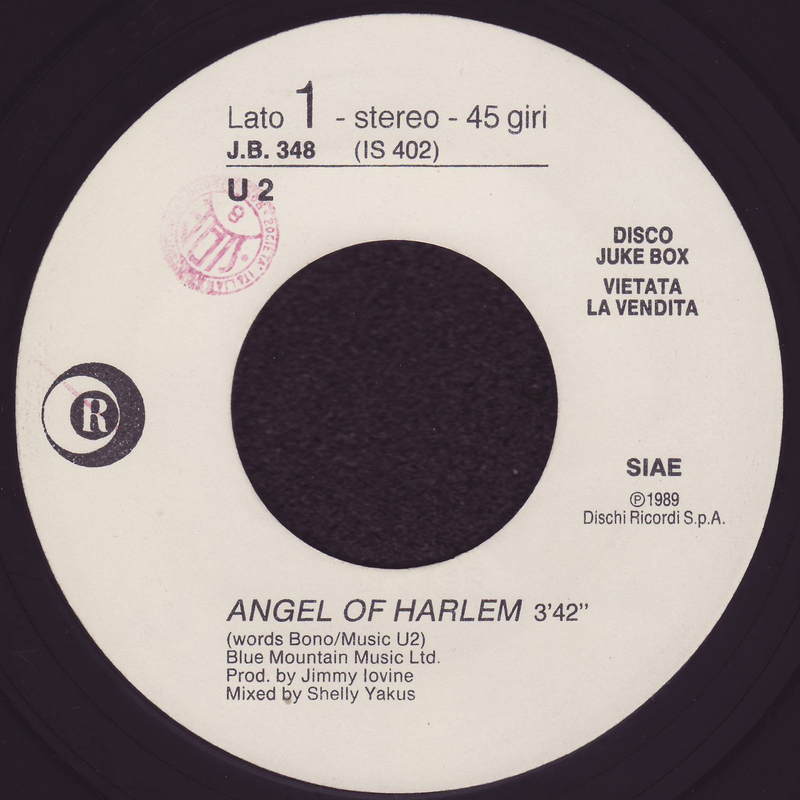 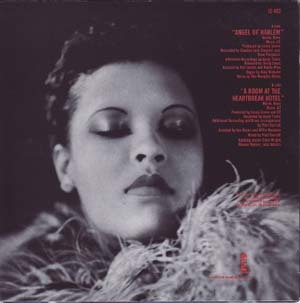 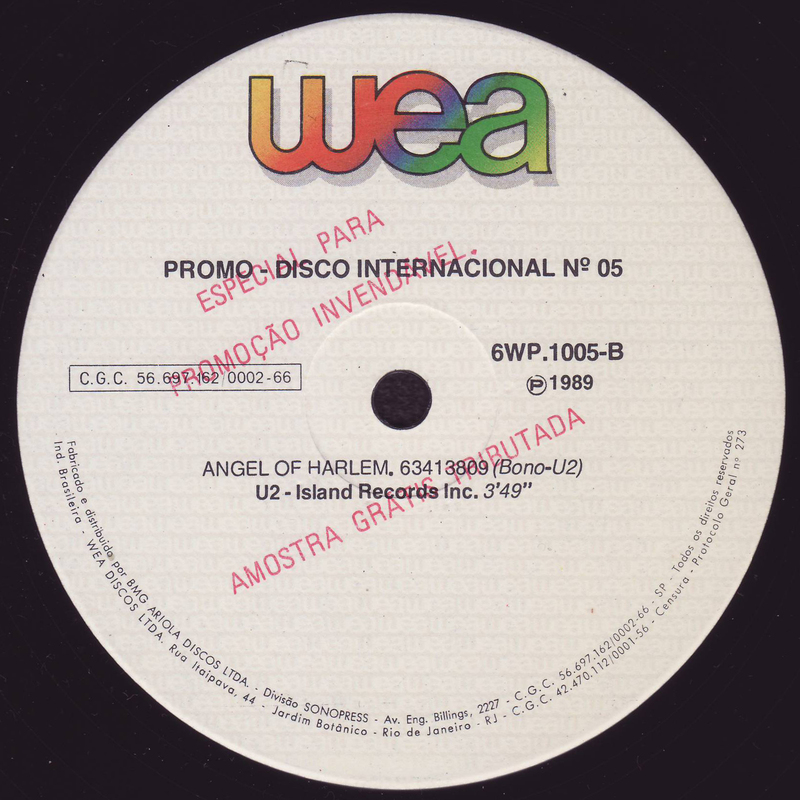 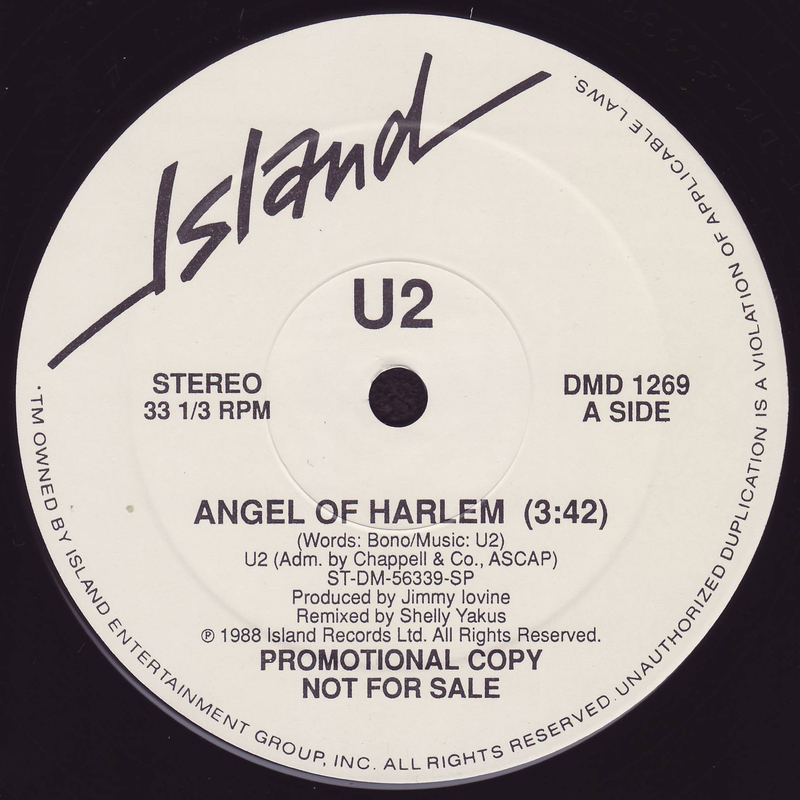 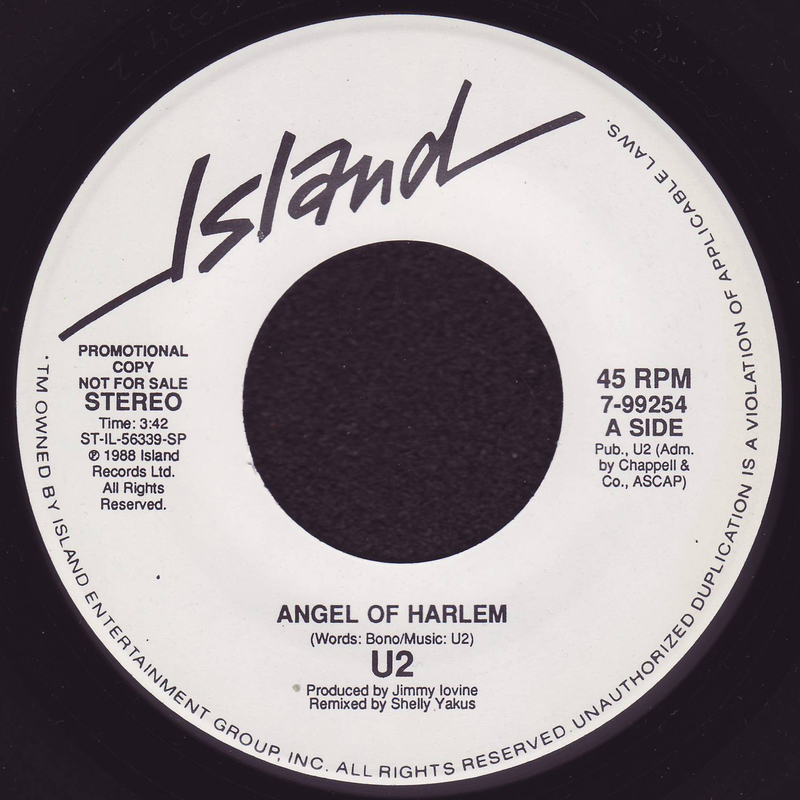 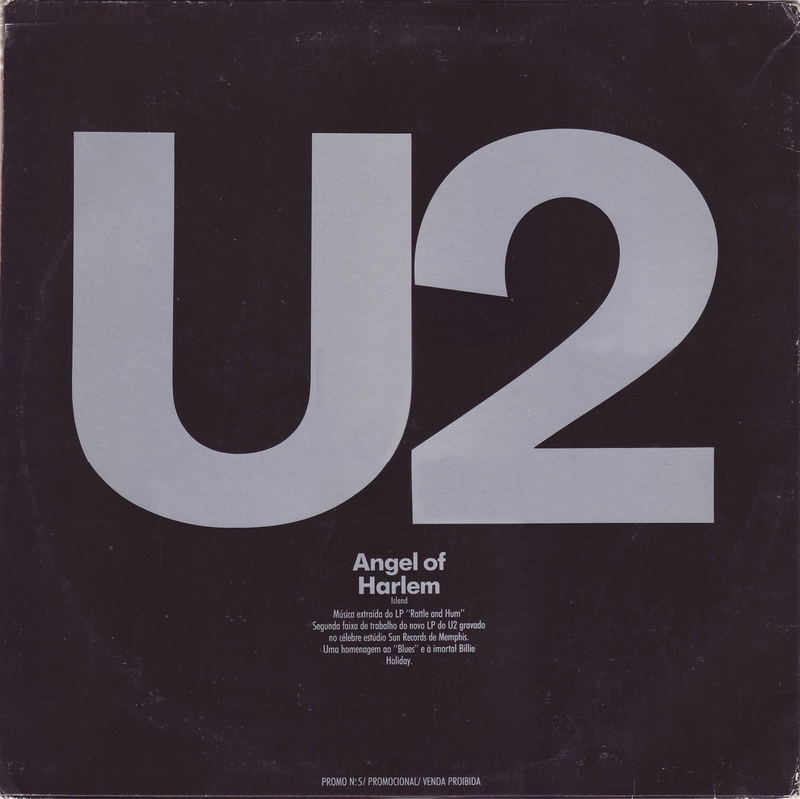 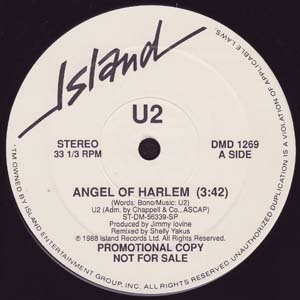 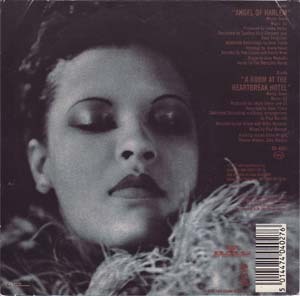 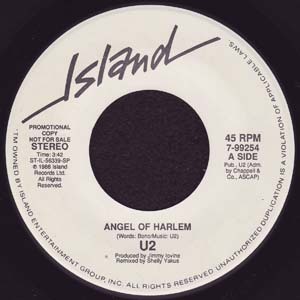 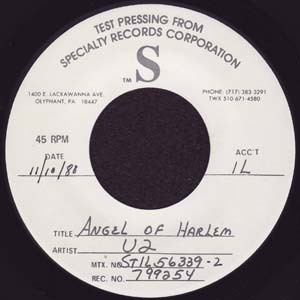 Angel of Harlem - 7"
A-Matrix: "IS-402-A-2 MX70863A-2 6B 1-1 23292"
B-Matrix: "SMX70864B IS-402-B-8 23292-X 6A2 1-1"
B-Matrix: "SMX70864B IS-402-B-10 23292-X 1-1 6B"
A-Matrix: "IS-402-A-8- 97085A 1- 23292"
B-Matrix: "97085B X IS-402-B-10 4 23294-X 1-1"
A-Matrix: "111920 A IS-402-A-9 23292 SNA 1-3"
B-Matrix: "111920 B IS-402-B-2 23292-X 1-4 SNA"
A-Matrix: "020 IS-402-A-13 S111920A-3 23292 1-2"
B-Matrix: "020 S111920B-3 IS-402-B-13 23292-X 1-2"
A-Label: Brown Island with large hole. 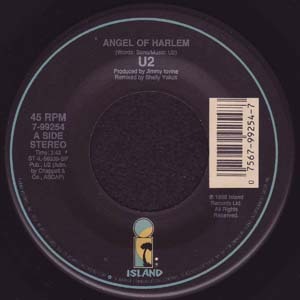 A-Matrix: "020 IS-402-A-11 S111920A-2 23292 1-2"
B-Label: Brown Island with large hole. 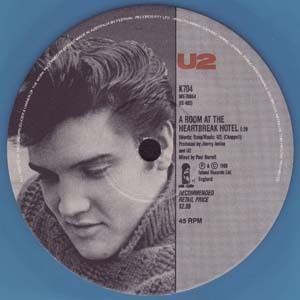 Front PS: Wrap-around with Jukebox card. A-Matrix: "IS-402-A-3 D07D-2035A-1 III + A 1-1 23292"
B-Matrix: "D07D-2035B IS-402-B-11 III + 23292-X 1-1"
A-Matrix: "IS.402.A 21.3.89 ISLAND U2"
B-Matrix: "IS.402.B. 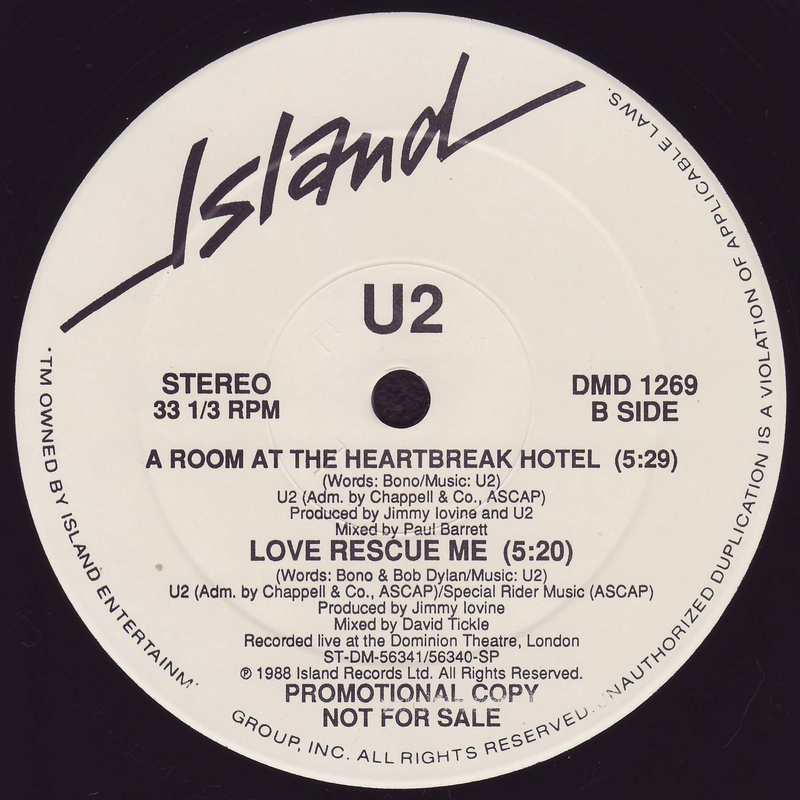 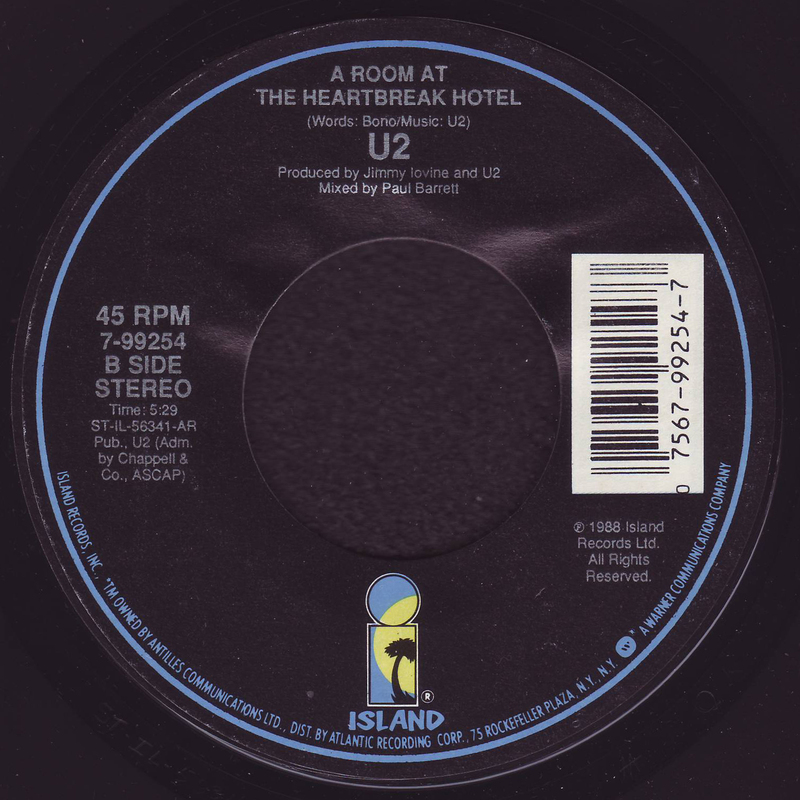 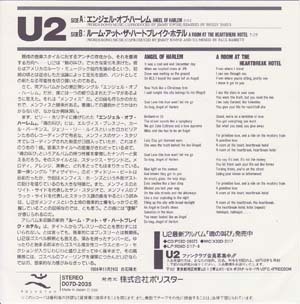 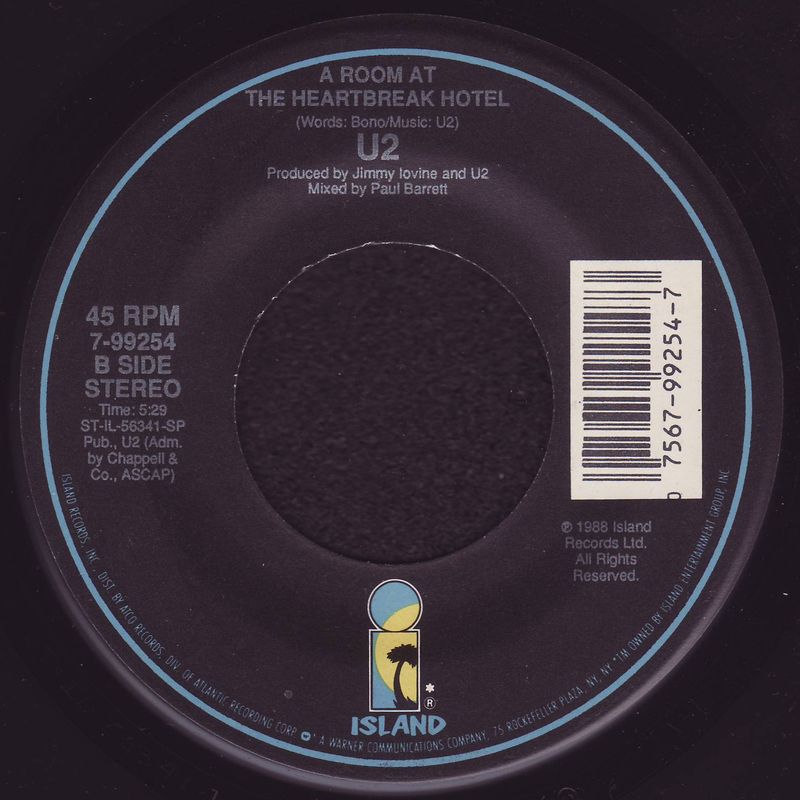 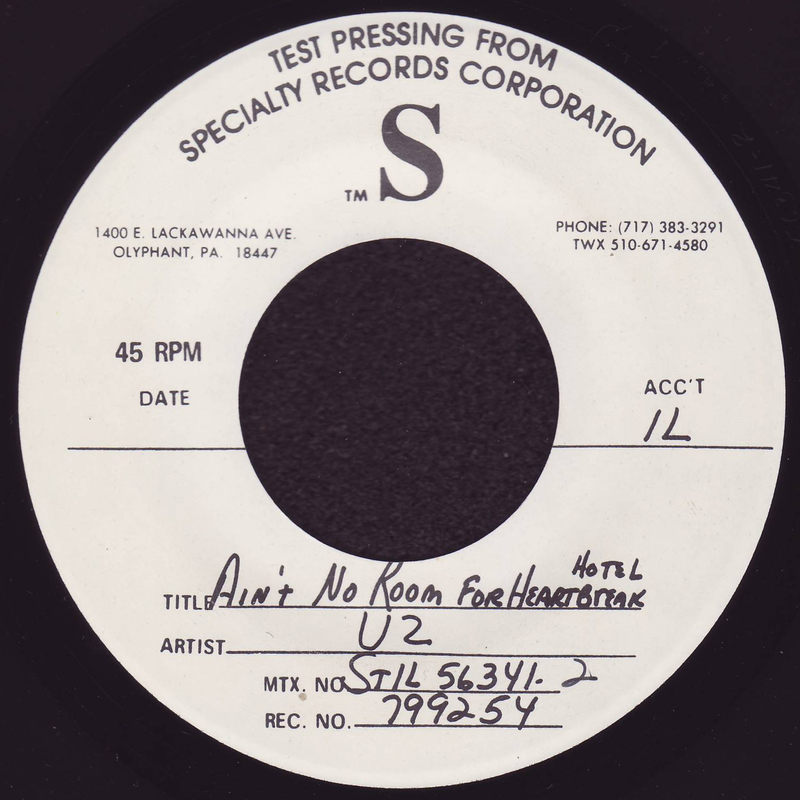 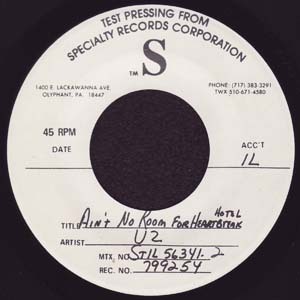 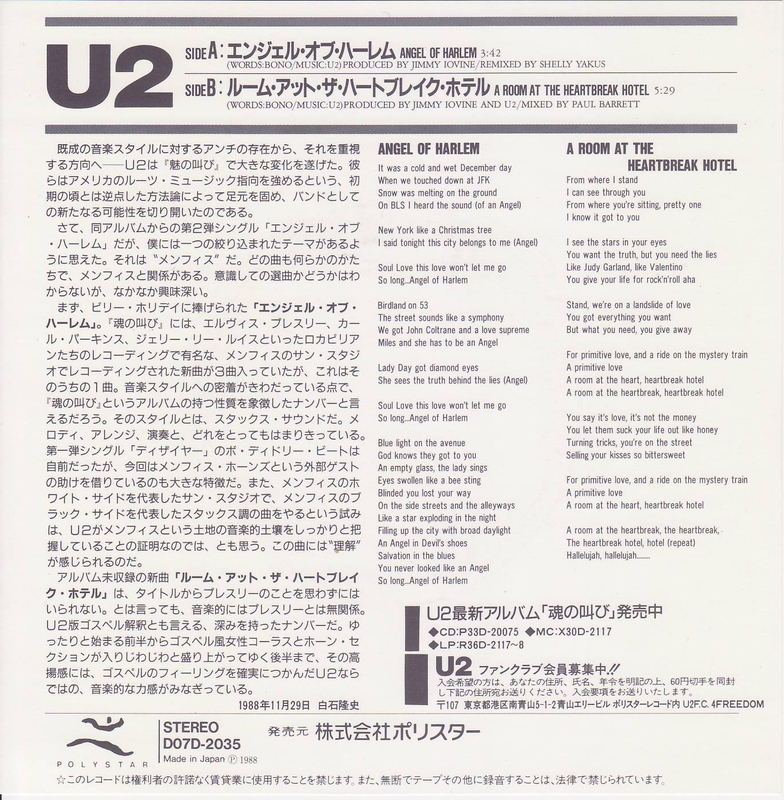 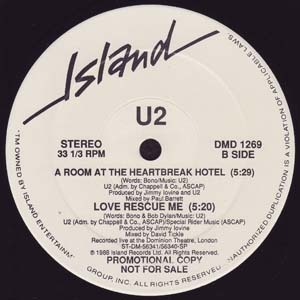 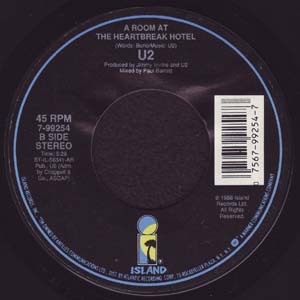 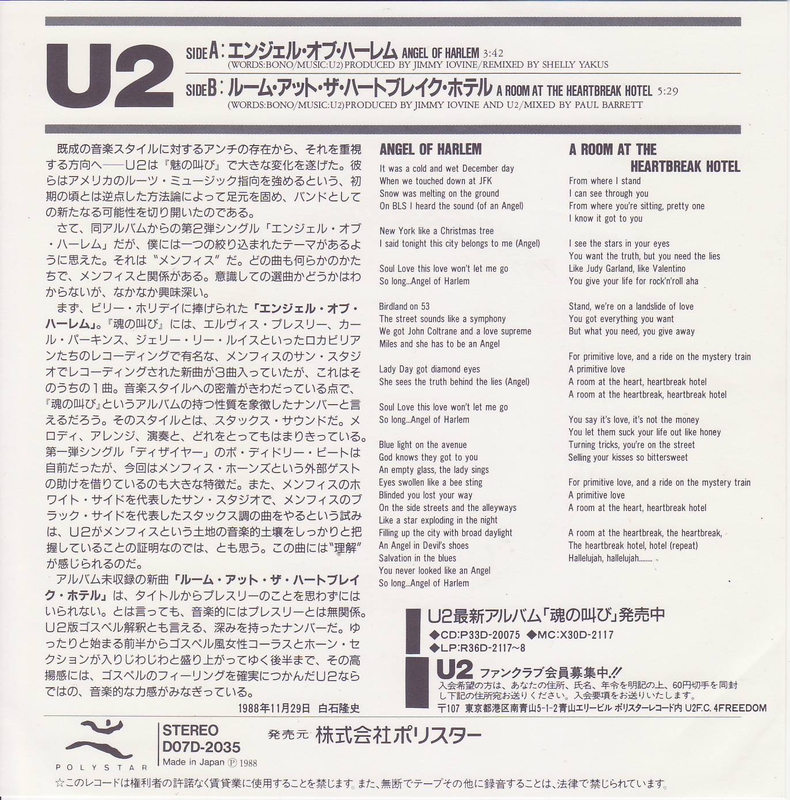 21.3.89 ISLAND U2"
A-Matrix: "IS-402-A-7 111920A 23292 1-2"
B-Label: New Island palm tree with large hole. 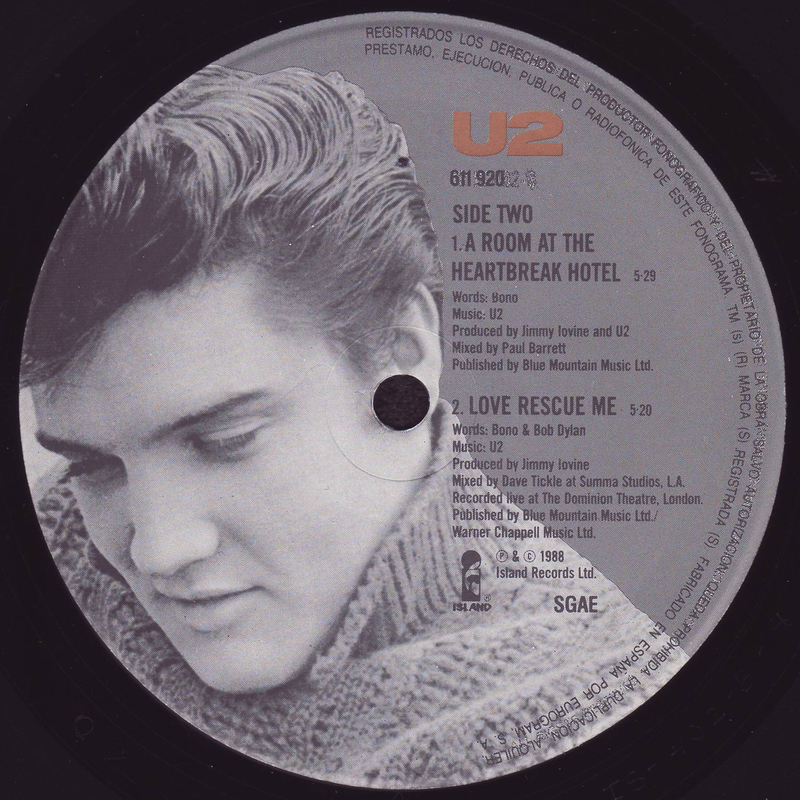 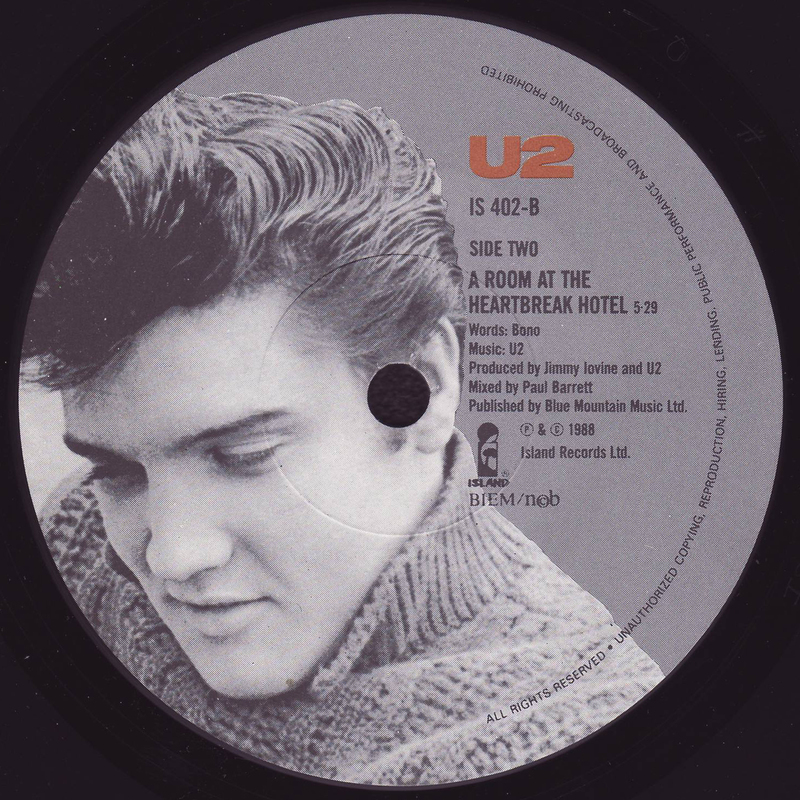 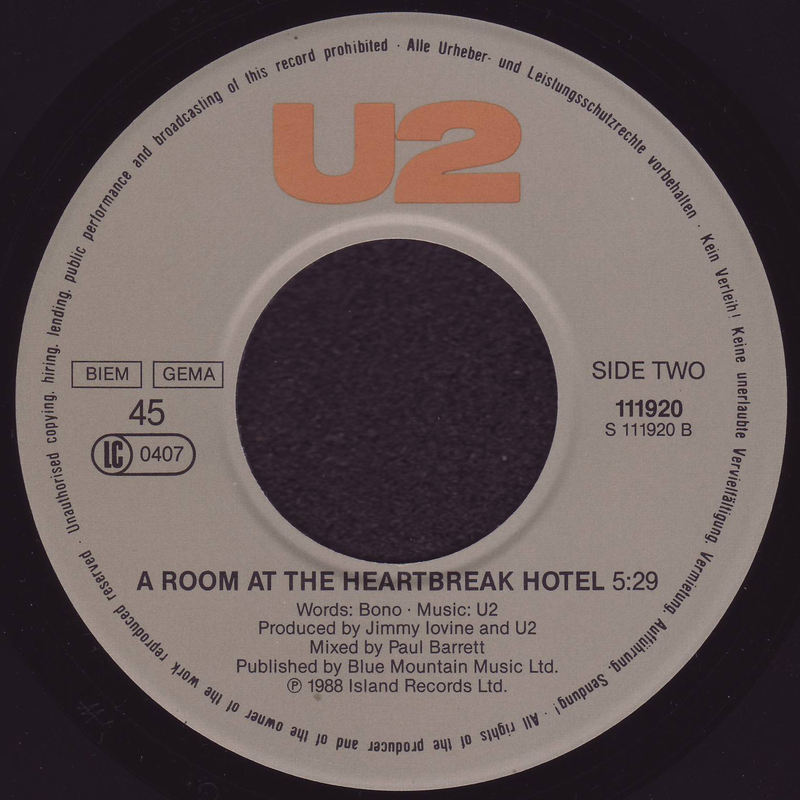 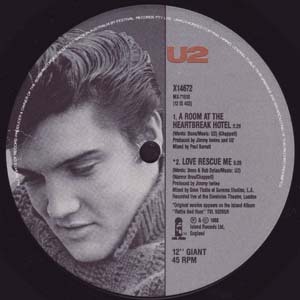 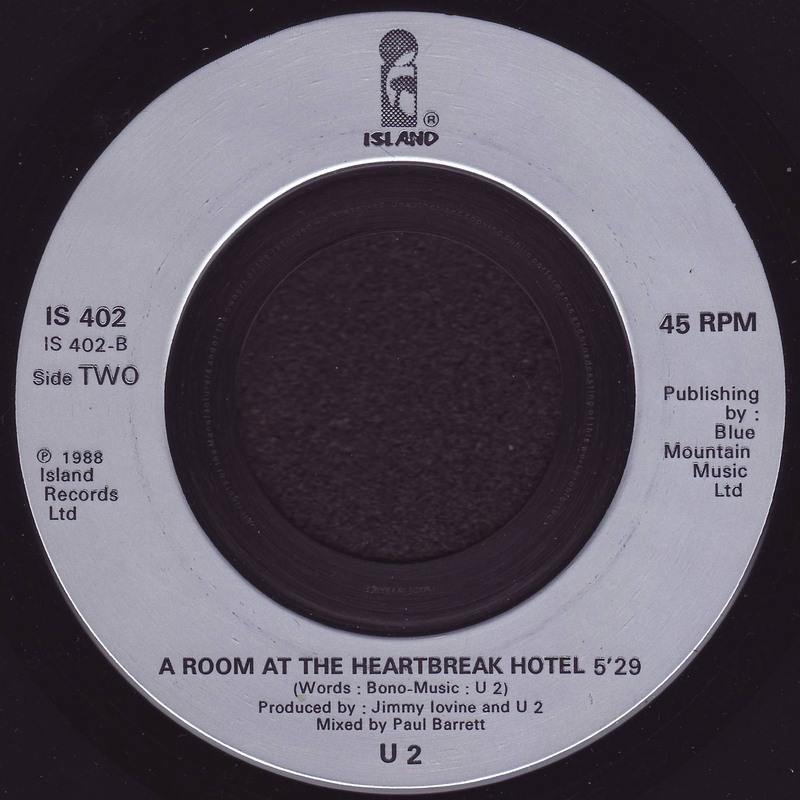 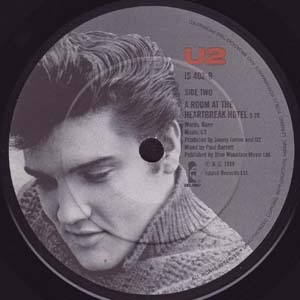 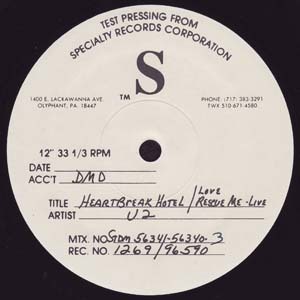 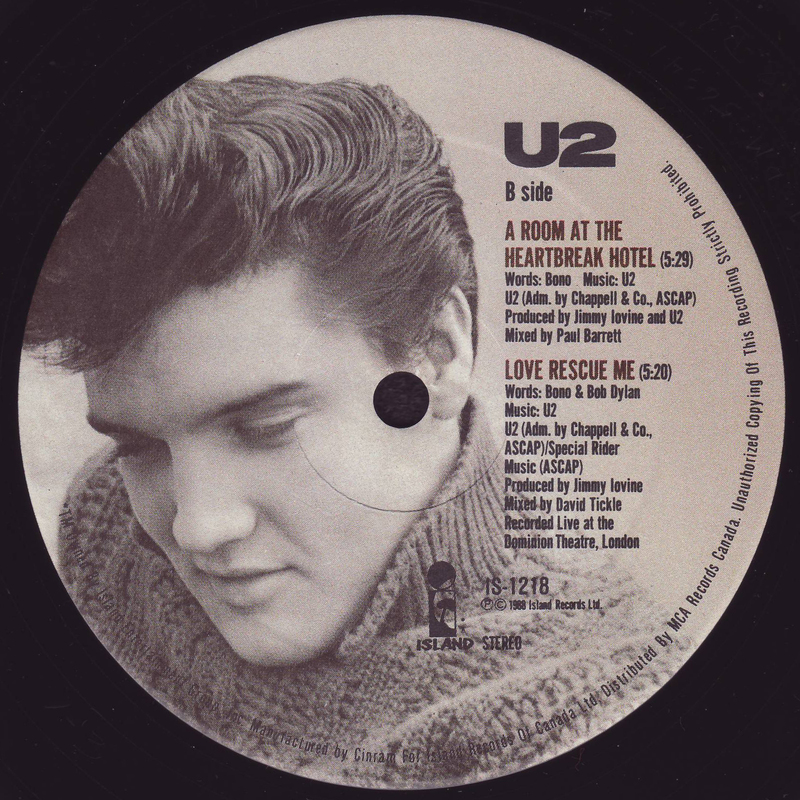 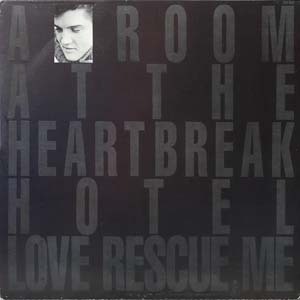 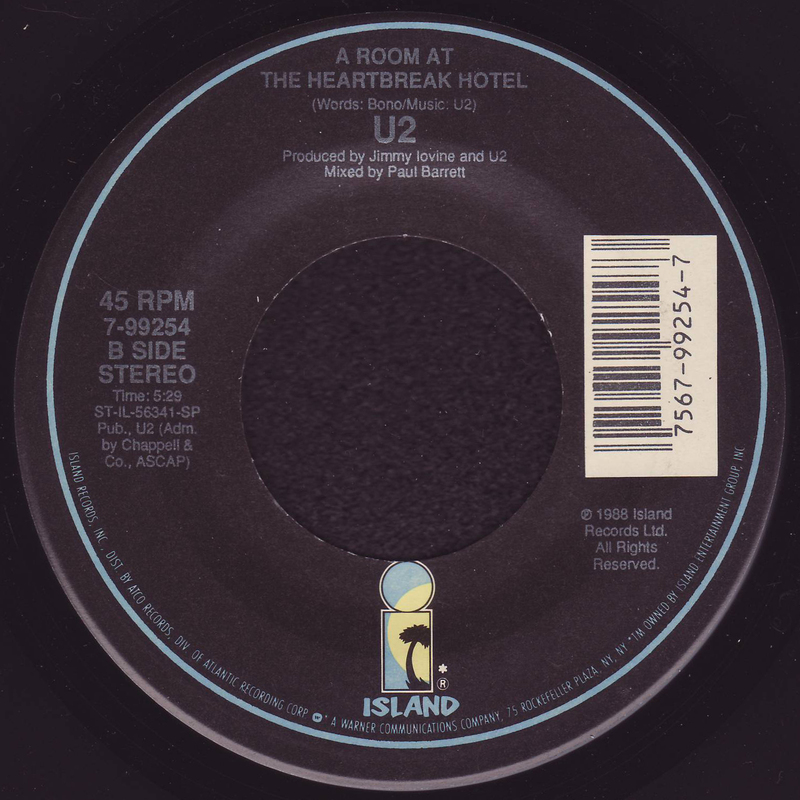 Mistitled "No Room at the Heartbreak Hotel". B-Matrix: "111920B IS-402-B-1 23292-X 1-2"
A-Matrix: "IS-402-A-1 IS 402a 1-2 23292"
B-Matrix: "IS 402b IS-402-B-9 23292-X 1-1"
B-Matrix: "RE-1 IS-402-B-3 23292-X 1-3"
B-Matrix: "IS-402-B-2 Re-1 23292-X 1-3"
A-Matrix: "ST-IL-56339-5 R-22023-5 23314 1-1"
B-Matrix: "ST-IL-56341-4 R-22022-4 23313 1-1"
A-Label: White Specialty with large hole. 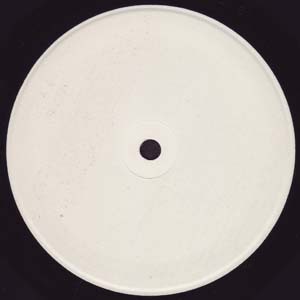 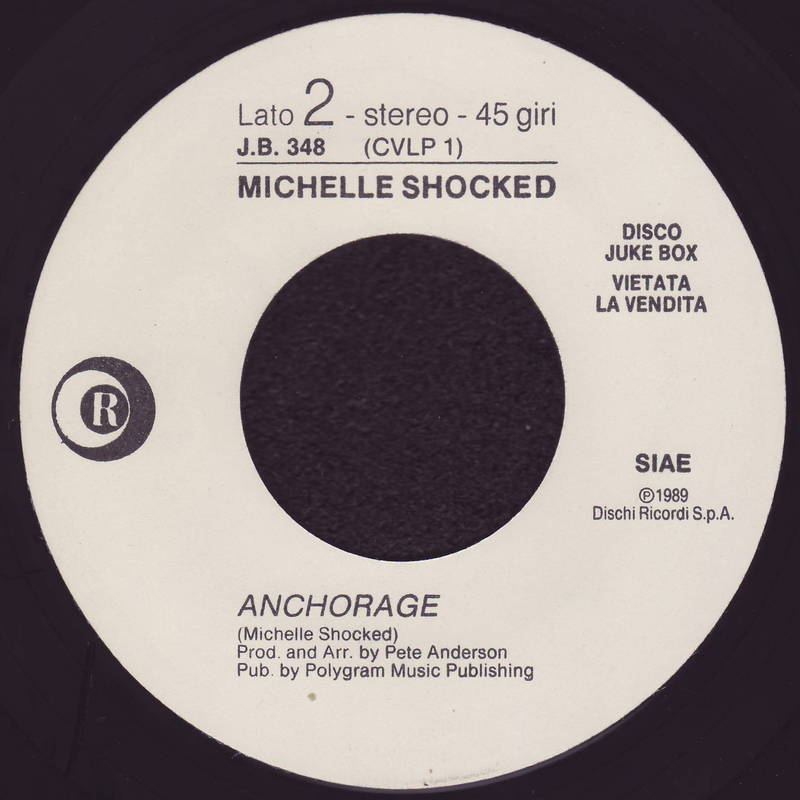 B-Label: White Specialty with large hole. 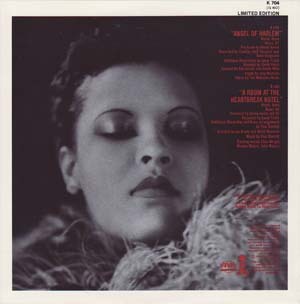 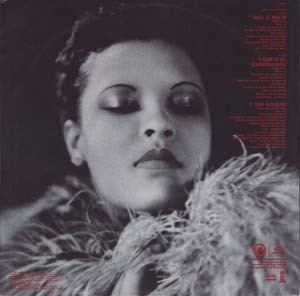 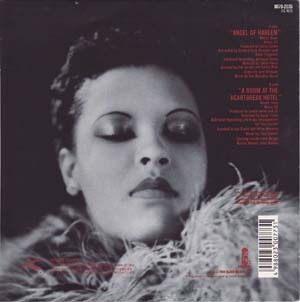 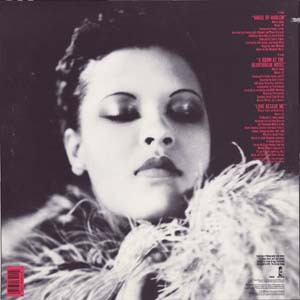 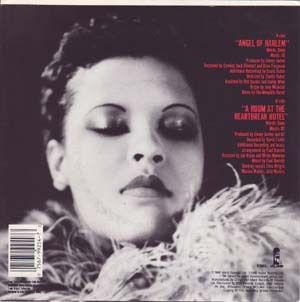 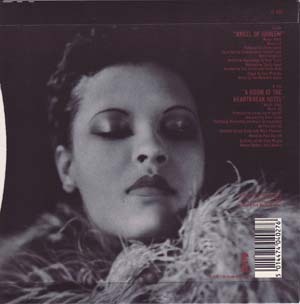 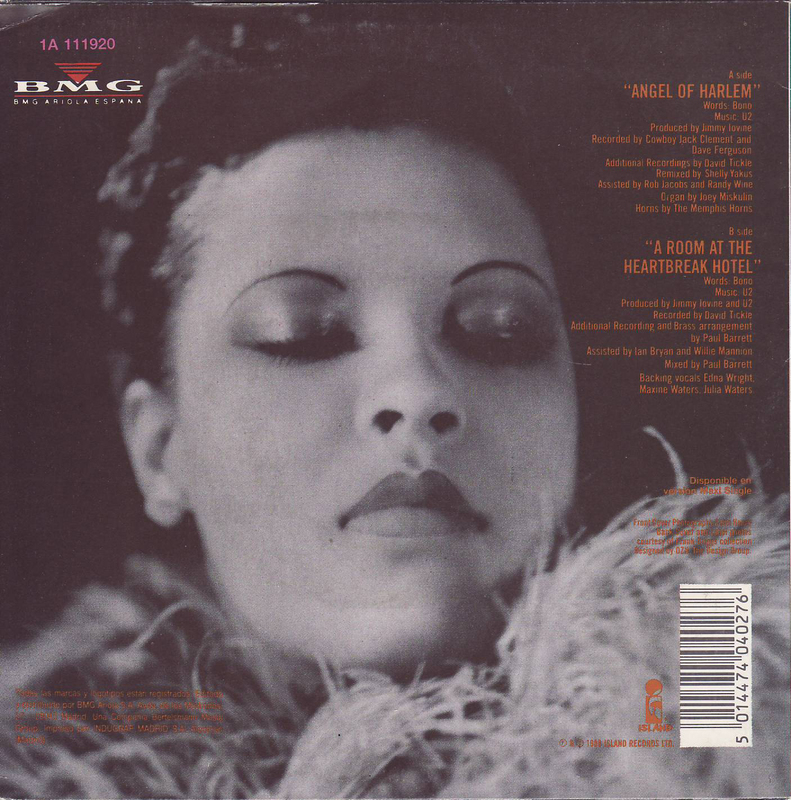 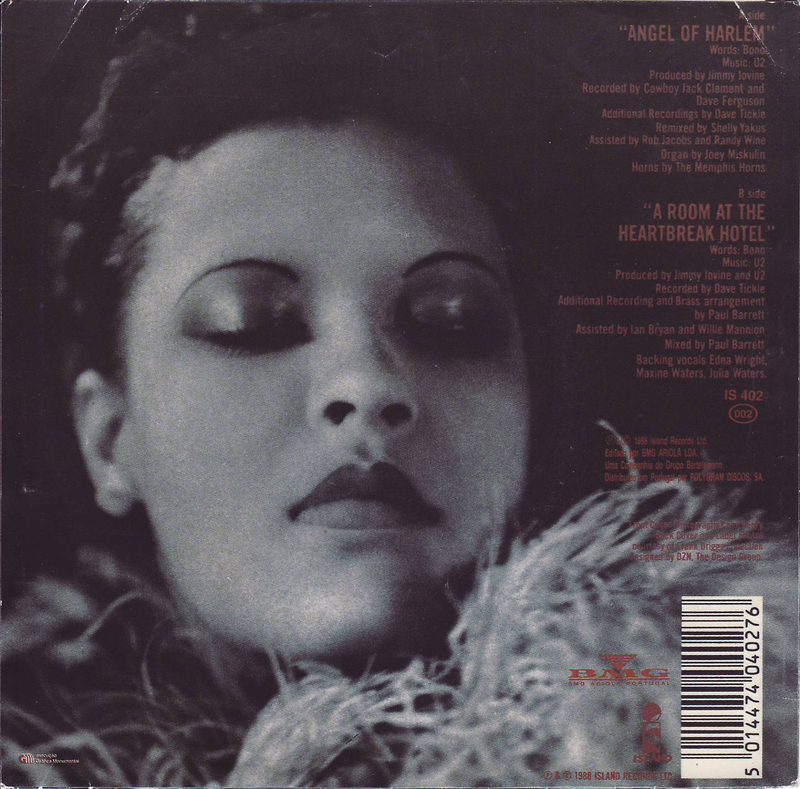 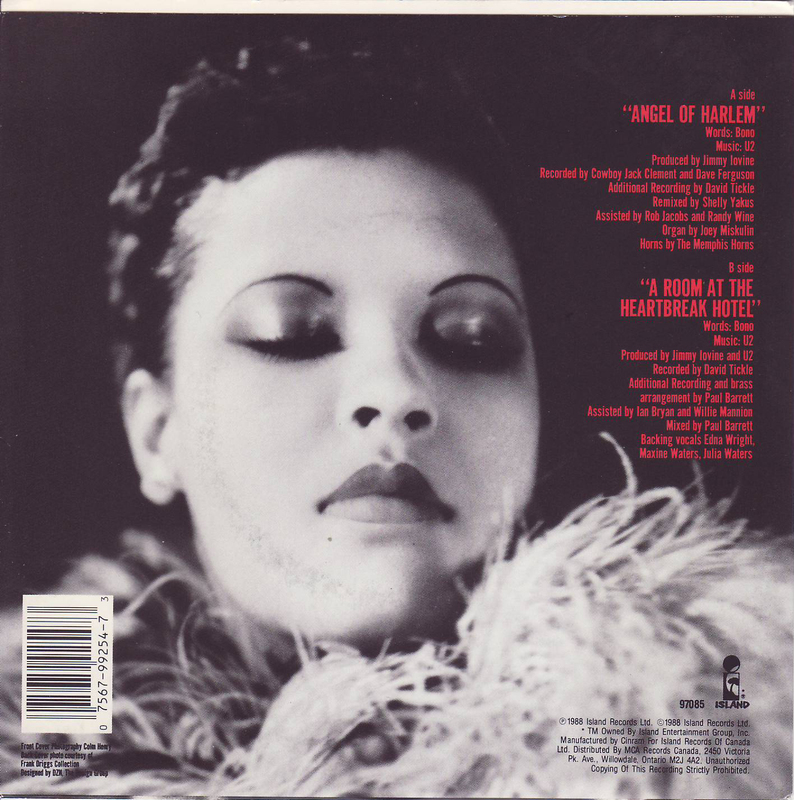 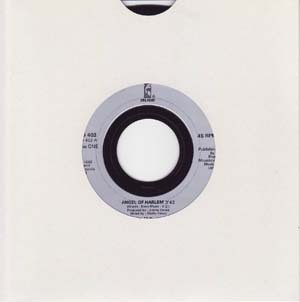 Mistitled "Ain't No Room For Heartbreak Hotel"
Angel of Harlem - 12"
A-Matrix: "12-IS-402-A-1 23298 1-1 SMX 71509 6A3 71329A-1"
B-Matrix: "12-IS-402-B-8 SMX 71510 6C 1-4 23298-X"
A-Matrix: "12-IS-402-A-1 23298 1-1 SMX 71509 6A 71329A-1"
B-Matrix: "12-IS-402-B-1 71330-B-1 6A4 SMX 71510 1-1 23298-X"
B-Matrix: "12-IS-402-B-1 71330-B-1 6A2 SMX 71510 1-1 23298-X"
Mistitled "No Room at Heartbreak Hotel"
A-Label: Island picture. Different colours to European releases. A-Matrix: "ST-DM-56339-4 B-33697-4 IS 1218-A 23326 1-2"
B-Label: Island picture. Different colours to European releases. B-Matrix: "ST-DM-56341-4 56340-4 IS 1218-BX B-33698-4 23327 1-3"
A-Matrix: "12-IS-402-A-2 020 S611920A-2 23298 1-2"
B-Matrix: "12-IS-402-B-2 020 S611920B-2 1-1 23298-X"
A-Matrix: "12-IS-402-A-12 23298 ISX-402-A 1-"
B-Matrix: "12-IS-402-B-13 ISX 402 B 1-1 23298-X"
A-Matrix: "12-IS-402-A-13 ISX 402A 23298 1-1"
A-Matrix: "12-IS-402-A-3 611920A 23298 1-1"
B-Matrix: "12-IS-402-B-8 611920B 1-1 23298-X"
Back PS: With BMG logo. 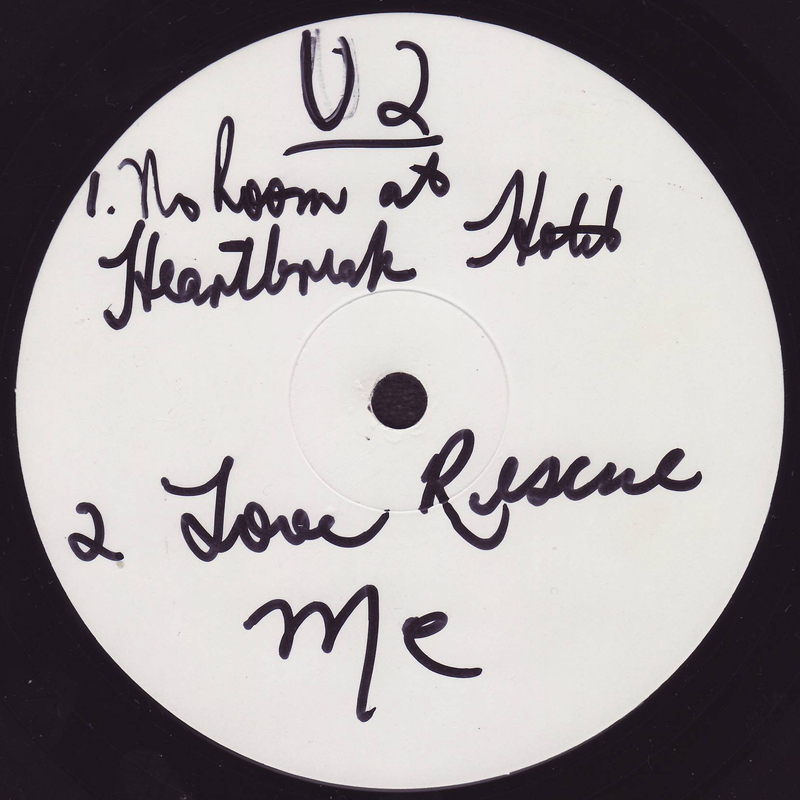 Back PS: Without BMG logo. A-Matrix: "12-IS-402-A-10 12IS402a 23298 1-2"
B-Matrix: "12-IS-402-B-10 12IS402b 1-1 23298-X"